When setting goals for your business there are outcome goals and project goals. In this week&apos;s episode, Steve Slaunwhite gives you five tips to make a project goal as inspiring as an outcome goal. As freelance professionals, we&apos;re responsible for everything in our business. Sometimes that can be discouraging. Here&apos;s how you can overcome discouragement and keep moving forward toward success. In this episode, Steve Slaunwhite talks with LinkedIn influencer Jeff Haden, author of the new book, The Motivation Myth. Find out how you can stay motivated every day. What's your 2018 Goal? Increase your likelihood of achieving your goal by staying motivated. Steve Slaunwhite shares a counter-intuitive way to measure and achieve your goal. Developing a plan and methodically working toward a goal is one way to accomplish a goal. But today, Steve Slaunwhite talks about another option — a sudden big leap. Find out how you can take a big leap forward in your business today. Good habits are powerful and can pay off in your copywriting business. 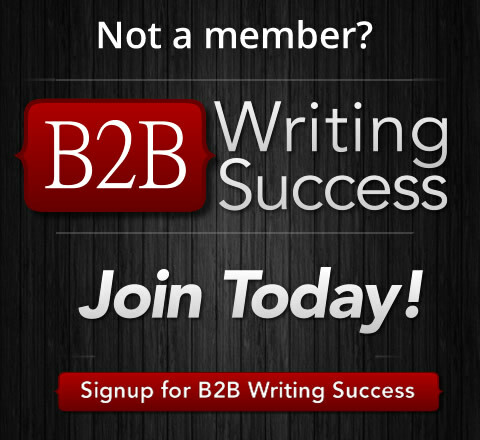 Steve Slaunwhite explains how to kick bad habits and build good ones that will make you more productive and successful as a B2B Copywriter.